If a Richard Russo protagonist went on a bender in Vegas, the result would be something like Swimming with Bridgeport Girls: an uproarious romp about a lovesick gambler and his against-all-odds quest to win back his ex-wife. Ray Parisi is in trouble. Fired from his anchor job at ESPN after one too many public humiliations, he is holed up in a motel and in desperate need of a break. His ex-wife is shacking up with another guy in his old house, a Cambodian bookie wants to kill him, and he’s wanted by the New York State Police. A few days before the Fourth of July, he unexpectedly receives an inheritance from his long-lost father, and it seems like all of his problems might be solved. Determined to get his life back together, Ray hatches an imaginative but highly suspect plan to win back his wife, dashing from Connecticut to Las Vegas to Memphis in an attempt to secure his future before the past runs him down. The cast of characters he meets along the way is as loveable as it is absolutely insane. 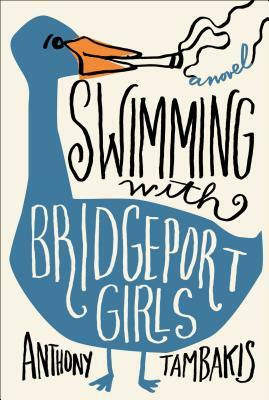 Sure to please fans of sophisticated romantic comedies like Seating Arrangements and Silver Linings Playbook, Swimming with Bridgeport Girls is a hilarious, heart-wrenching, and unexpectedly powerful tale about one man’s mission to—against all odds—finally get it right.